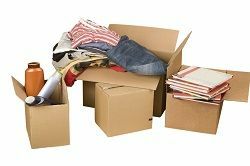 From moving locally to moving internationally or within the UK, our removal firm Moving Service is the one you should hire. The reason you should choose us is because we give an all-round service that takes care of your every item and on top of all that, we give you amazing prices you just won’t find with other removal companies. By hiring us you will be making your house move easier. Even if it’s a man and van you’re looking for, you will have a fantastic van and hard-working removal employees at your service who are trained to provide the best services. All our staff are fully vetted and fully trained, with many years of experience in carrying out all kinds of house removals in Dagenham, RM8. From our wonderful caring customer service which is only a phone call away at any time, to our initial removals assessment service that’s dedicated to making sure you get an excellent low price, we have everything you want all in one place. The transport we have is unique, removal vans and trucks are also available to hire because we offer you every kind of removals service you may wish to have. We will gladly answer any questions you have if you give us a call on 020 8746 4402. The area is in East London situated just north of the River Thames. Areas to the north of the area include Loxford, Goodmayes and Rush Green. Barking, Ilford and South Hornchurch are also nearby. The River Rom, also known as the River Beam, a tributary of the River Thames, flows through the south of the area. The area has a number of tube stations within easy reach of its centre. Becontree, Dagenham Heath and Dagenham East are all on the District Line. Dagenham Dock Railway Station has trains to London Fenchurch Street, Liverpool Street as well as Southend and Shoeburyness. The area used to have no less than five major manor houses. Only one, Valence House survives to this day and is now houses the local history museum. One of the main employers in the area from 1931 to 2002 was the Ford motor company. The huge car production factory employed 40,000 at its peak. 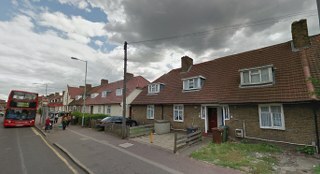 The area is covered by three different postcodes, RM8, RM9 and RM10 and is in the London borough of Barking and Dagenham. If there’s one thing we can say to you with absolute confidence, it is that you can depend on us. We won’t just be there on the day as expected, but we will be punctual and ready for your house move. At the heart of our removals service in Dagenham, RM8 is dependability, reliability as well as affordability. We’ll make sure you get the exact removal crew you want in terms of size whether it’s a one-man, two-man crew or something more. By adapting our resources around your particular needs, it gives you a customised service you won’t get with other moving companies. On any given day, we can be carrying out removals internationally as well as locally or within the UK. We have packing materials available at amazing prices as well as a very helpful packing service should you need it. We understand how stressful moving a home across RM9 area can be and that is why, it’s so comfortable for you to hire our removal firm in Dagenham which has an expertise that’s reassuring. To receive your free quote, you can call us now on 020 8746 4402 and you can hear any other information you would like to know. Moving Service is here for you to give you a better moving day in RM10 in every single way. Houses aren't exactly something one can move all on their own. So we decided to call up the guys at Moving Services in Dagenham to give us a hand. Hiring these movers was the right choice for us and our home.